Every company has a need to communicate with their customers and, for most businesses, this interaction is handled by the contact center. 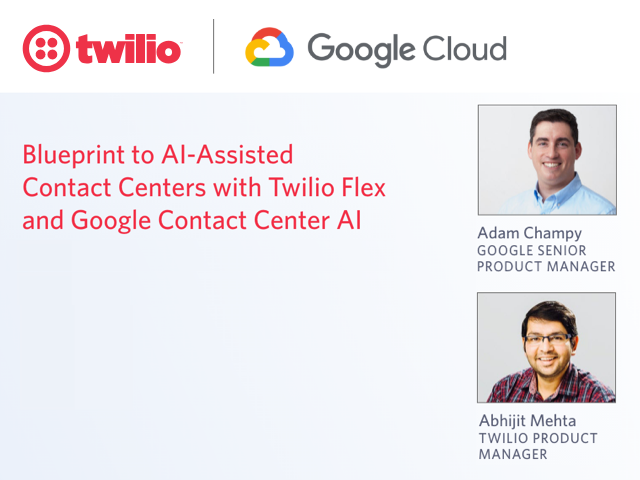 The intersection of artificial intelligence (AI) and customer service has the potential to improve the effectiveness of the contact center dramatically and make those human interactions more impactful. By 2022, Gartner predicts 20% of all customer service interactions will be completely handled by AI, an increase of 400% from 2018. How will you utilize AI to serve your customers better—handing off interactions to agents when appropriate—while maintaining conversational context? The Twilio channel brings you the latest in global communications and an API approach to software development.